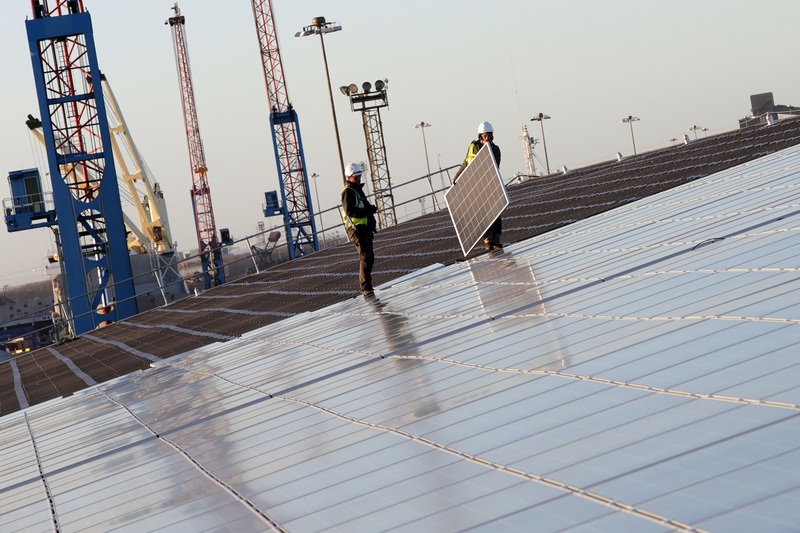 The Association of British Ports has set course to become one of the largest corporate solar power producers in the UK by adding a further 20MW of PV to its facilities. Last month the company appointed Custom Solar to a three-year framework agreement which will see ABP install an initial 4.5MW of solar – adding to the 8MW it already has – before March 2018. And ABP has now revealed the scale of its plans, with a further 20MW of solar PV in the works. The investment could see all of the group’s 21 ports go solar. All systems are to be installed on ABP’s rooftop space of which it owns 1.4 million square metres, largely covering storage facilities. It forms part of a wider energy efficiency initiative which will see 23 further green energy schemes installed across the port estate. Chris Garton, director of asset management at ABP, said the business was becoming a significant renewable energy generator in its own right under the plans. “We are confident that this is just the beginning for ABP. We still have significant potential to further develop our ports to generate yet more clean energy, further reducing the carbon footprint both of our business and of our customers’ operations,” he said. Meanwhile Custom Solar director Gary Sucharewycz said the investment would make ABP one of the largest UK generators of solar energy. ”They have recognised not only the benefits of minimising the impact of operations on the environment but the value in the security of energy supply that solar offers,” he said. A number of corporates with locations in the UK have opted for solar with the technology proven particularly popular within supermarket chains. Aldi has an extensive portfolio of rooftop solar throughout the UK and last year Sainsbury’s provided an update to Solar Power Portal on its own solar strategy, confirming it owned around 41MW of solar at the time. The largest single commercial rooftop is still believed to be the 6.1MW system installed atop Marks & Spencer’s Castle Donington distribution centre in 2014.